This gentleman came to see us to have his license restored in July of 2010. His license was suspended for two and a half years for prior driving under suspensions and a reckless driving charge from a few years ago. He was not able to have his license restored and spent the last three years without a valid drivers license because of the problems. As soon as we completed our investigation we found some options where suspension credit and a request for an administrative hearing allowed him to have his license restored sooner than 2013. 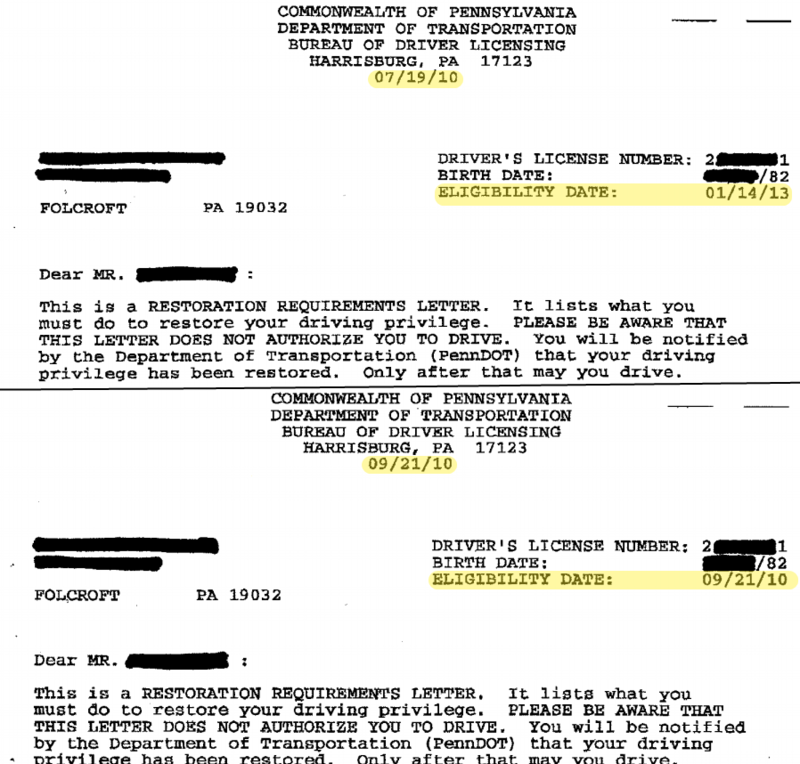 We were able to reduce his suspension time by over 2 years and he got back driving again legally in Pennsylvania. This process took us just over 2 months as you can see on the restoration requirements letter below.